It felt serendipitous at the time, although in retrospect I think I had been in great need of wanted a book to better my writing, it’s just that I didn’t realize there was one out there so specific to the type of writing that interests me. I ordered Will Write for Food within minutes of reading Alice’s tweet, which is a testament to the legit-ness of both the IFBC, and Alice. I found myself easily breezing through each chapter, gleaning something useful even if it may never be something I use to its fullest. 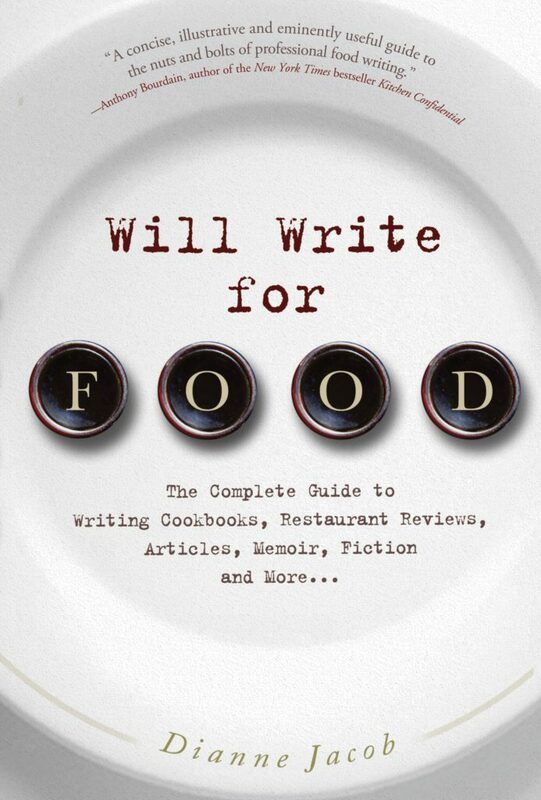 Nice thing is, Dianne Jacob has written Will Write for Food in such a way that you can pick and choose the chapters that interest you (“Becoming a Successful Freelance Writer” and “Memoir and Nonfiction Food Writing,” for example) without missing any important content from the others. This is super convenient if you want to focus on a certain aspect of your writing first, and that doesn’t happen to be chapter one. It’s truly “The Complete Guide to Writing Cookbooks, Restaurant Reviews, Articles, Memoir, Fiction, and More…,” as Dianne promises on the front cover. And, believe it or not, she’s right about something else too. If you want to get into food writing, there really aren’t very many options in the book world to help — kudos to her for writing the handbook, so to speak! It’s been so helpful already, and I imagine I’ll still be referencing it for years to come. 1. Practice writing and discover (or craft) your voice. Using adjectives: Write a 250-word review of the best restaurant meal you’ve eaten recently, using five descriptive words from the list on pages 122-123. So, I spent time doing just that … as if I was back in college, following the direction from one of my professors. And you know what? It was WAY harder than it seemed! You know what else? With practice, it got easier to describe food and food experiences in ways that weren’t (for lack of a better word) bland. This practice also helped me develop my voice — the way I wanted to sound in my writing, and the things I would or wouldn’t write about. I write basically the same way to talk in real life to my friends, so that exercise wasn’t terribly difficult. I find it harder to write for non-blog publications, like Frederick Magazine, where my voice needs to be more buttoned-up and formal (though still sounds like me). 2. Think about how others can relate your experience. 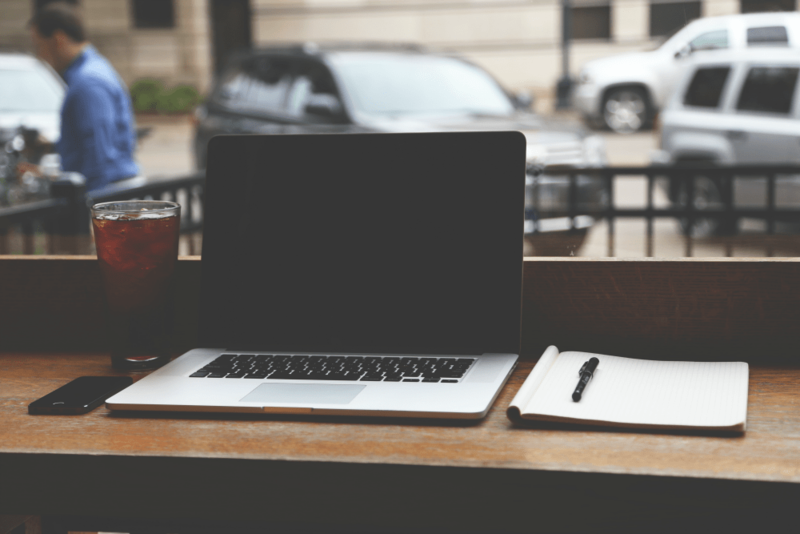 The point of writing a blog is to share your feelings and interests. At least for me, that’s how it all started — I wanted to talk about food with people who also wanted to talk about food. The topics and recipes are all things that I enjoy, but I make sure to understand what my readers are looking for, too. I’m not journaling, after all. It’s helpful to know that there are others like you. People who fumble through the work-week, trying to get dinner on the table in 45 minutes or less — or in between various kid activities. I know I’m not the only one who tries gardening, despite not having a green thumb, and it’s fun (and authentic) to chat about those experiences with transparency. Solidarity! Savory, toothsome, chewy, bland, salty, silky, mouth-watering … those are merely the tip of the iceberg when it comes to great adjectives to describe how food tastes. Of all the aspects of writing, finding unique ways to talk about my meals is definitely the most difficult. It’s easy to get trapped in the word of “delicious” and “yummy,” but neither of those words really describe anything. What do you mean by “delicious,” anyway? I keep pages 122-123 dogeared for reference. 4. Edit your own work, ruthlessly. This goes for food bloggers or any writer. I probably go through three rounds of edits before my piece reads in a way that feels good. And even then, I’ll sometimes come back to it post-publishing to correct a few things that I missed the first time (or skimmed over when the piece was too familiar). Grammar is important, even in a casual blog (if it’s a private journal – meh). It’s like making sure you don’t have spinach in your front teeth, or that your jeans’ zipper isn’t down. People notice; they may not say anything. If you don’t feel like editing’s your jam, find a friend who loves to do it and does it well! Most word-nerds get excited over editing pieces of writing. It’s like sitting down to work on a puzzle or something. Also, pay attention to your photos. I don’t use a fancy camera; just my iPhone and natural light. I keep the set-up simple, and make sure to snap a variety of angles so that I have the right types of photos for various platforms — vertical and horizontal for the blog post, a narrower horizontal feature image on the blog to pull for Facebook, a pinnable image for Pinterest, a square shot for Instagram, etc. — each with the proper meta description written in. This is all part of ruthless editing! As you read through my blog, you may notice the style changing here and there as I work my way through Dianne’s writing exercises at the end of each chapter and hone in on my voice. I feel like I’m back in a university English course, and in a good way! 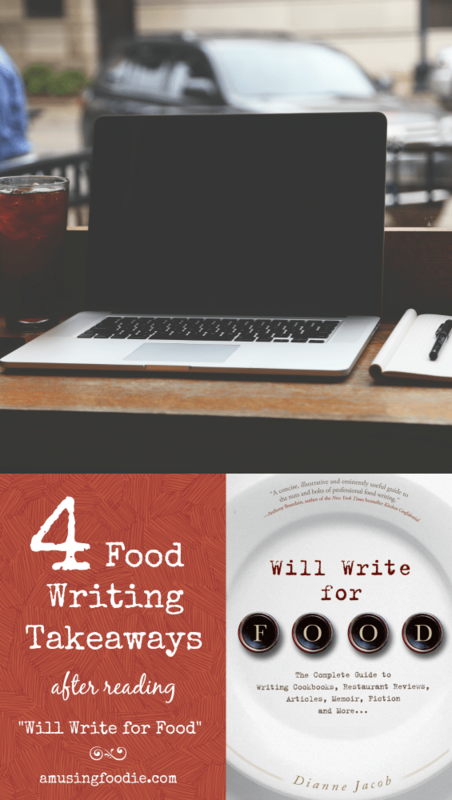 It’s nice to have some structure and growth to my writing, and it’s also nice to be challenged to write better, more descriptive … especially when it’s about food. Thank you Dianne (and Alice, and IFBC) for the guidance I didn’t realize I was looking for until I stumbled upon it! This post was updated in 2016. Hey Liza, I had not seen your post until Alice tweeted about it. Thank you so much! I’m honored to be the subject of your post. The new edition, which has a 17,000+ word chapter on food blogging, came out in July. Dianne: I saw a version with a different cover than the one I have, so I assume that’s the new edition? I’ll have to check it out! Really love your book – it’s been a big help, and I have a few pages dog-eared that I refer back to often as I’m writing. Cheers! Jackie: No worries – I’ve already pretty much finished the book, so if you haven’t already noticed then I suppose my voice was never altered. 😉 Which is what I was going for, improvement & bettering my writing, but not losing my voice.